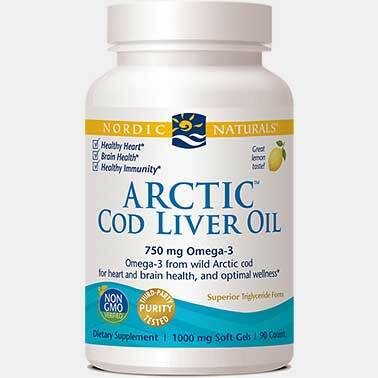 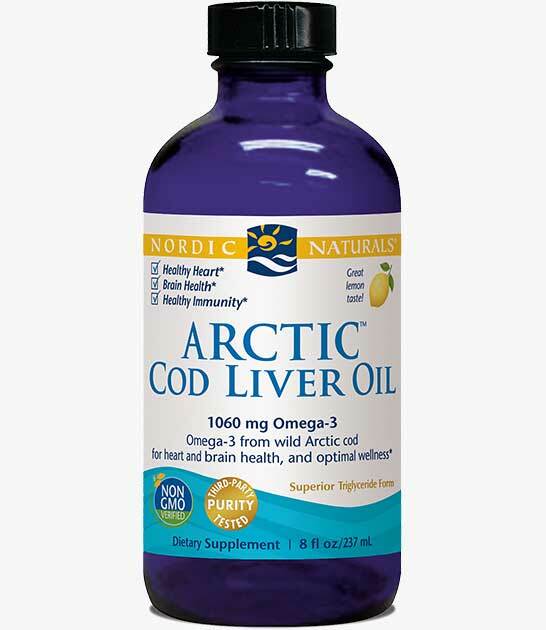 The fish oil that started it all, Nordic Naturals classic Arctic Cod Liver Oil is made from 100% wild Arctic cod from the Norwegian Sea. 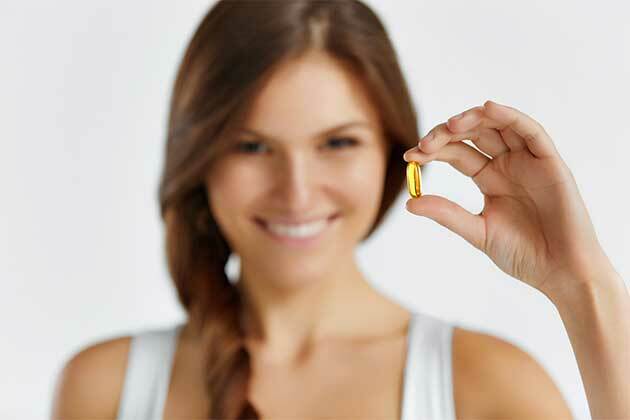 No fish body oils or synthetic vitamins or additives are ever used. 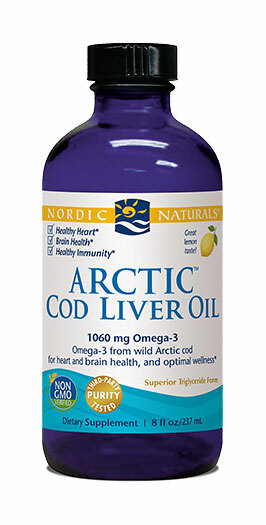 This non-concentrated formula surpasses strict international standards for freshness and purity set by the European Pharmacopoeia, and is considered the gold standard for cod liver oil. 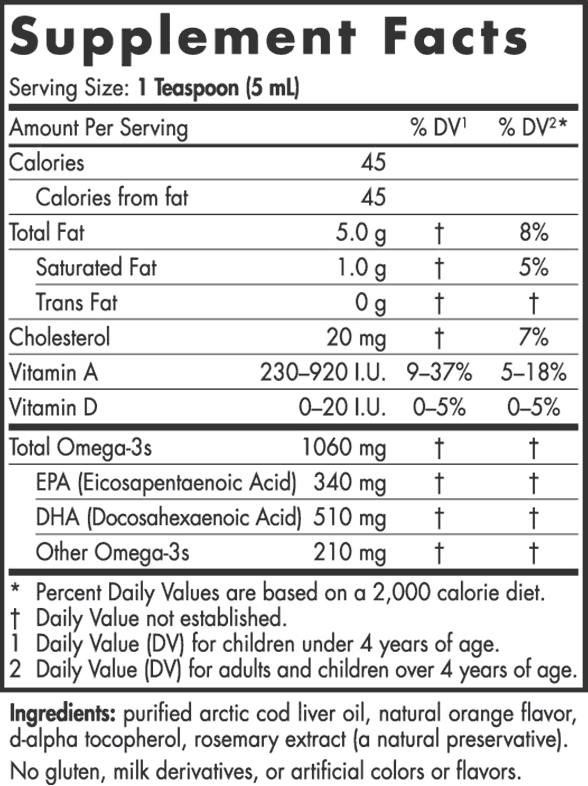 Available in flavored and unflavored formulas. SUGGESTED USE: Take one teaspoon daily, with food, or as directed by your healthcare professional or pharmacist. 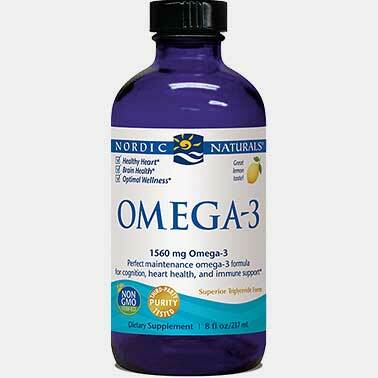 For best results, please refrigerate and use within three months after opening.